Pokemon Go completed nearly a year since it’s release and people have still not got enough of it. Pokemon Trainers have been playing and increasing their levels. Now, they obviously expect everything they’ve seen in Pokemon cartoon series in Pokemon Go also. So, it’s high time they witness a mentioned of Pokemon Go great ball, ultra ball and master ball. However, a very few people have been noticed of actually getting a great ball or ultra ball in Pokemon Go. So one will naturally ask, how to get a great ball in Pokemon Go? How to get an ultra ball in Pokemon Go? Pokemon Go great ball and ultra balls are highly anticipated. But what are these great balls and ultra balls? 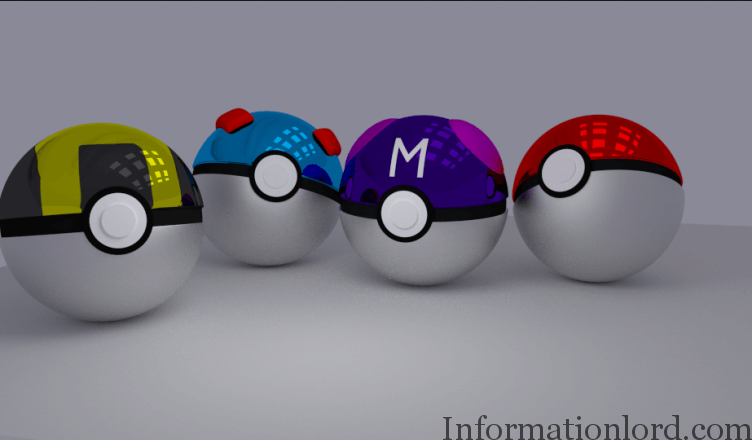 Why do we need a great ball or ultra ball over a Pokeball? Well, great ball and ultra ball are actually a special kind of Pokeball. If you’ve seen the Pokemon cartoon series enough, you should know that these great ball and ultra ball came into the picture when any peculiar Pokemon denied being captured into a Pokeball. These great ball and ultra ball persist some power which helps to catch rare and powerful Pokemon. So one might definitely be looking forward to own a great ball or ultra ball in Pokemon Go. How To Get A Great Ball In Pokemon Go? If you still haven’t been able to get a great ball in Pokemon Go, you haven’t played it enough. Yes, a great will come only to those curious Pokemon trainers who are ready to walk a long distance. Factually, a great in Pokemon Go unlocks when a Pokemon Trainer reaches a level of 12. Yes I know that’s a really tough point to reach, but you need to prove yourself worthy to get a great ball in Pokemon go. After you reach a level of 12 just keep visiting PokeStop regularly and if you’re lucky you’ll get a couple of great balls often. Play Pokemon Go Without Moving/Walking: Check NOW! How To Get An Ultra Ball In Pokemon Go? I think you should be able to guess that ultra ball is something above a great ball and will definitely be harder to get in Pokemon Go. Yes it indeed is. We all know that by every level it becomes difficult to increase a level in Pokemon Go. And hence you’ll have to face just enough or more difficulty to get an ultra ball in Pokemon Go as you did for a great ball. So, a Pokemon Trainer will have to reach a level of 20 in order to get an Ultra ball in Pokemon Go. Getting n ultra ball after reaching level of 20 is again simple. Just go to a nearest PokeStop and you might stumble upon an ultra ball or two. How To Get A Master Ball in Pokemon Go? Unfortunately, we are highly unsure if master ball in Pokemon Go is even available or not. According to sources, as of now master ball has failed to make a place for itself in Pokemon Go. But don’t be disheartened, Pokemon Go will be undergoing a series of updates in coming days and maybe master ball manages to grab a seat in Pokemon Go in future. I hope this article helped you to get to know about how to get a great ball in Pokemon Go along with ultra ball and master ball. You can check our guides on Pokemon Go to play it efficiently. Enjoy!